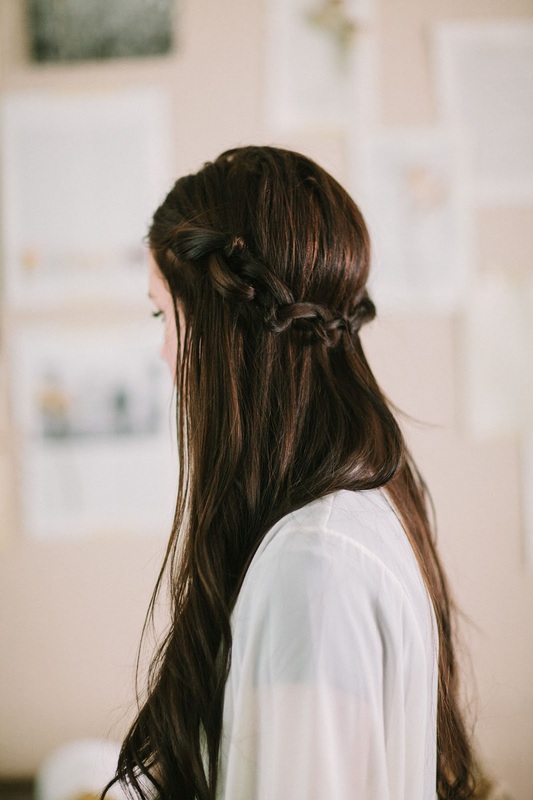 Part your hair down the middle. Take a section from the right side of the crown of your head. Separate into two strands. Take these strands and tie in a knot, like the first step in tying your shoe. Repeat this step over and over, creating a row of knots. 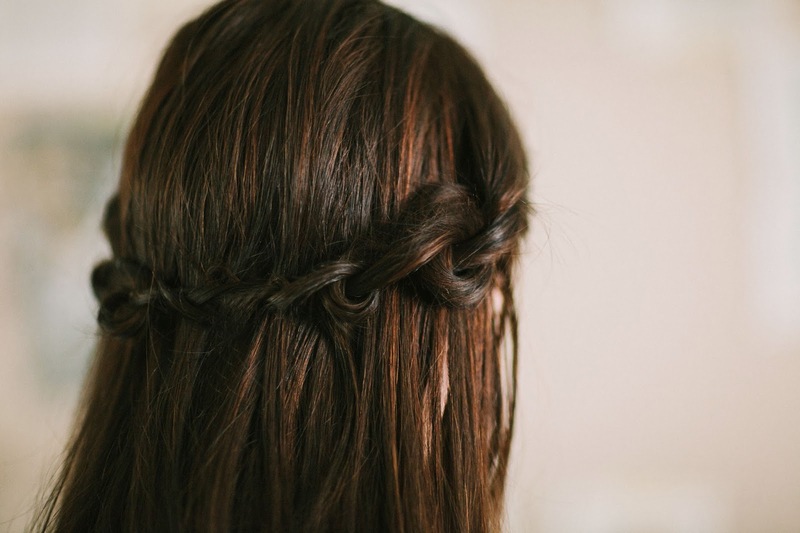 When doing this, you'll want each strand to be smooth so you won't create frizz and break the ends of your hair. To make these strands smooth, slightly twist the strands as you continue to knot. Once you've made knots to the end of the strand, wrap to the back of your head and pin in place. Repeat steps 1-4 on the left side. After you've wrapped and pinned both sides towards the back of your head, tuck the loose ends under the knots for a clean, more polished look. 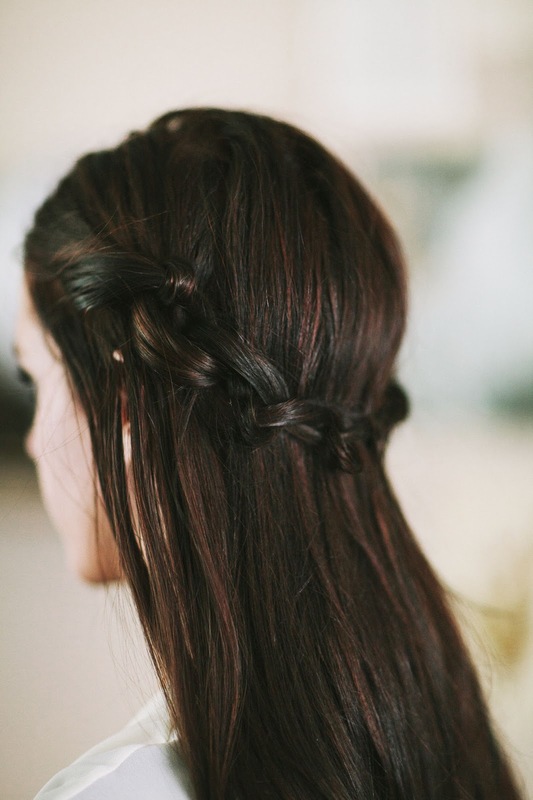 Add hair pins throughout, securing the knots from falling out throughout the day. Add wild flowers throughout the knots during the day for a care-free, bohemian look. For a polished look, wrap the loose ends into a low bun. Great for an interview, business meeting, or date night. This is so cute! 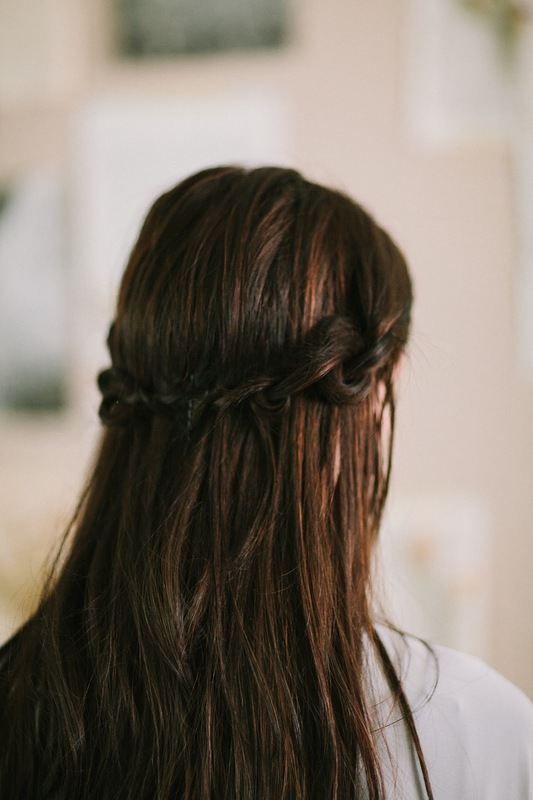 I love the half-up hairdos, but I don't have enough cute, unique ones in my back pocket. I'll definitely be trying this! I love this tutorial. I'm always looking for (easy) ways to spice up my hair, since usually it's hanging down straight or thrown up into a high pony. I can't wait to try this one out, especially with the suggested low bun. Effortlessly beautiful. 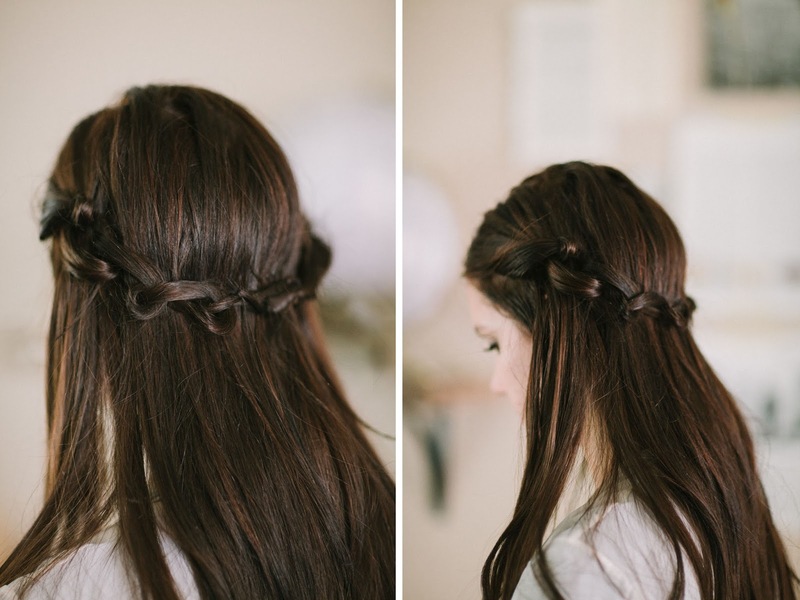 Reminds me a little bit of the gorgeous elfin hair from Lord of the Rings! Ooh, I haven't seen this before! Love it! So simple and pretty. So pretty, Kinsey! This makes me wish I had long hair. 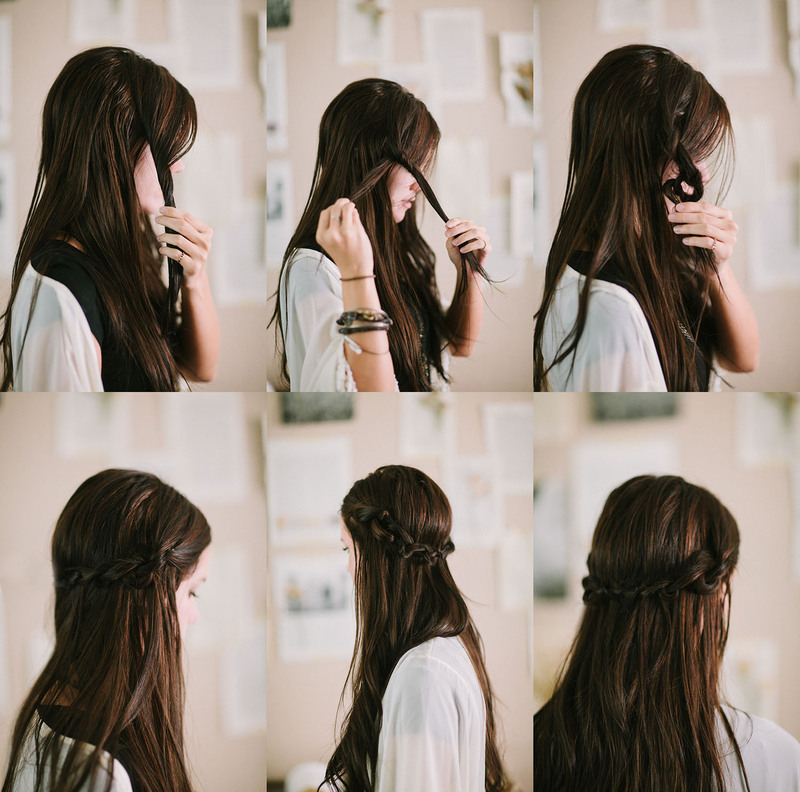 This is such a pretty & simple hairstyle. I adore it. I think I'm more in love with the color of that hair than the hair style. Looks great! I'll try it! 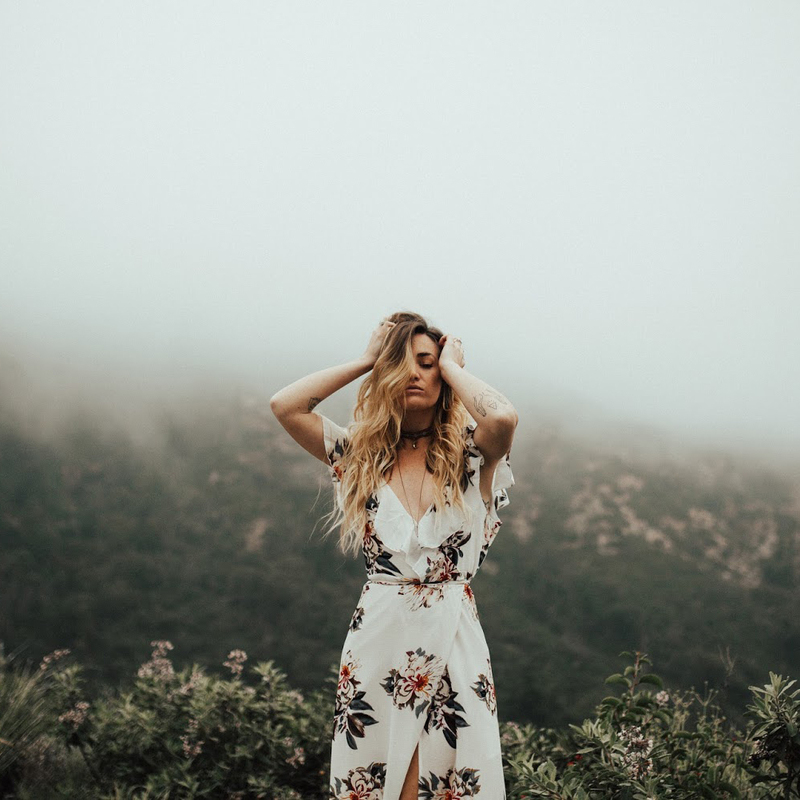 I am in love with the look of your blog! You have such long and beautiful hair! I have a DIY hair growth treatment if you would like to check it out :) Keep up the great work! I love the look of your blog! You have long and beautiful hair! I have a DIY hair growth treatment if you would like to check it out :) Keep up the amazing and creative work!